Christmas is only 13 days away! We are having so much fun counting down to Christmas by doing ONE simple holiday activity each day as part of our annual 23 Days to Christmas series! We are pulling out ideas from our archives and we're also sharing a few new favorites! Yesterday we made a simple Christmas treat with graham crackers and today we are making a super easy Sparkly Name Christmas Tree Craft! We also visited our favorite amazing house with Christmas lights and drank hot cocoa. We are definitely getting into the Christmas spirit. Next, count up how many letters where are in your name and take that many triangles. Write each letter of your name on a triangle. Then put the triangles in order (top= first letter, bottom= last letter) to name a tree with your name on it! Add a trunk with some brown paper and you are finished! 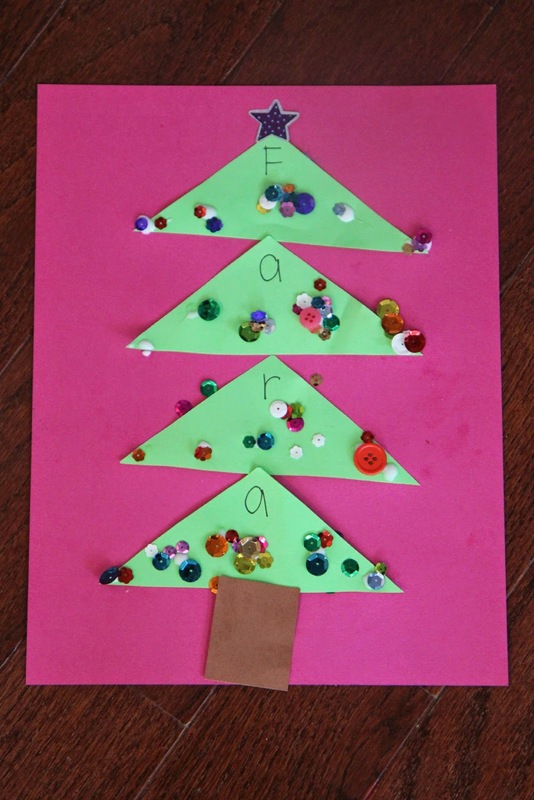 Once things are mostly dry, start adding sequins and other embellishments to your name tree. It is so fun to see them sparkling! The more sparkles the merrier is our mantra. Ha! 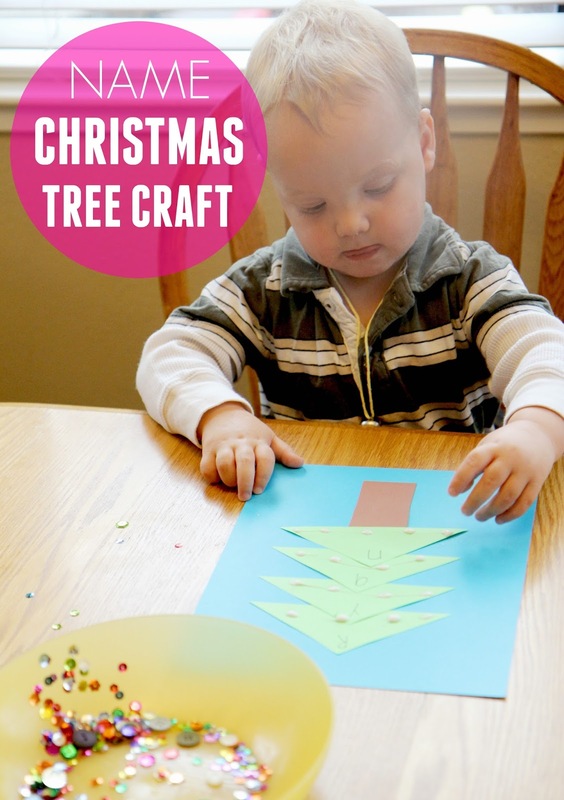 Once you're done, let the embellishments dry and then your tree is ready to be hung! My son loves sounding out the letters in his name while he checks out his sparkles! Name crafts are awesome! They help expose kids to the letters in their names in a playful and fun way! Most kids love their names, so it is always fun to do a craft with your own name! Do you have any other favorites that we need to try?